In November of 2016, Stephen J. Murphy was elected the 31st Register of Deeds for the Suffolk District. • Implementing the Traveling Tuesdays program that brings a comprehensive list of Registry services to Chelsea, Revere, Winthrop and every neighborhood of Boston. 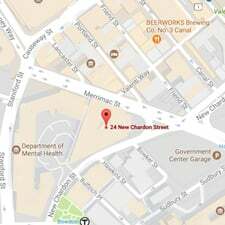 Due to the Registry’s location in downtown Boston, this program has been especially popular with the elderly and people with mobility issues. • Working in partnership with Secretary of State Bill Galvin to improve the Suffolk Registry of Deeds’ website suffolkdeeds.com by making the website more user and mobile friendly. • Dedicating additional resources to reduce the backlog of registered land certificates. • Restructuring the Registry to offer more opportunities for advancement in an effort to improve employee morale and further professionalize the office. • Hired bi-lingual staff to better serve customers who speak Mandarin, Cantonese and Spanish. • Providing additional training and supervision of document indexing to improve the accuracy of Registry records. Steve attended Boston Latin School and graduated from Stonehill College where he received a degree in business administration. Steve worked for a transportation company during and after college, eventually becoming Vice President of the company before entering public service. Steve served as an At-Large member of the Boston City Council from 1997-2015, serving as President of the Boston City Council for three terms. Steve lives in Hyde Park with his wife, Bridget Simmons Murphy, and their cat, Dora.